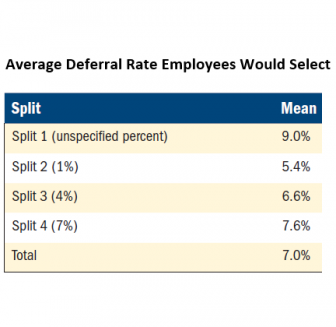 Nearly half of employees approve of auto-enrollment, 77 percent would stay in a plan if auto-enrolled, and higher default deferral rates result in respondents settling on a higher contribution rate. 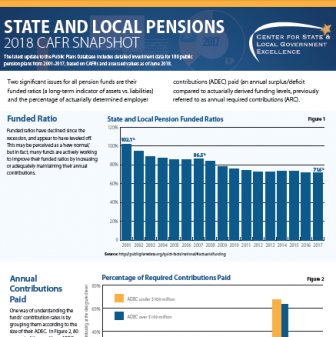 The Public Plans Database has been updated with state and local pension fund CAFR data from June 2018. 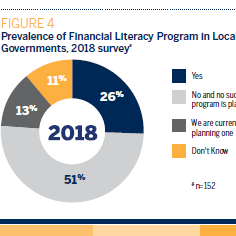 This infographic displays the latest trends. 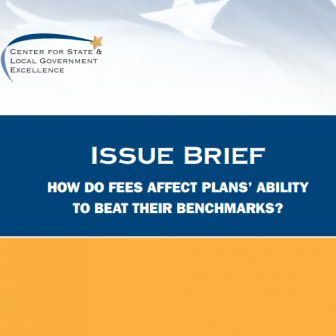 This brief examines the impact of investment fees on public pension plans’ performance, as well as the types of benchmarks used for different asset classes. 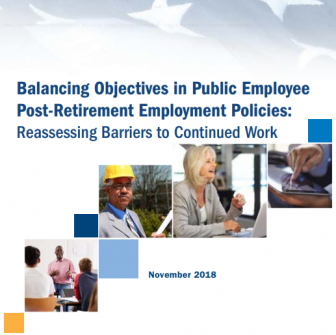 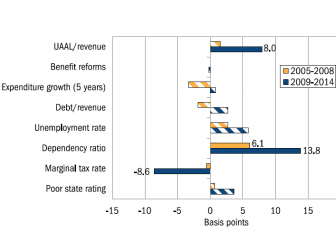 This brief explores the effects of 2005 to 2014 pension reform on state and local government competitiveness in the labor market. 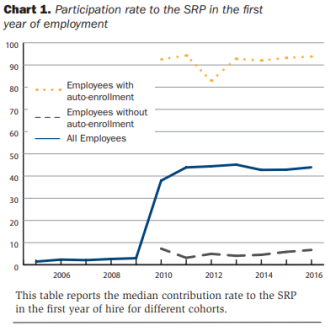 This brief examines the impacts of South Dakota’s shift from voluntary to automatic enrollment in its supplemental retirement savings plan for public employees. 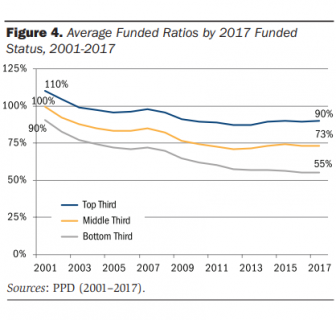 This infographic shows trends in public pension plan funded ratios; required contributions paid; and investment allocations, assumptions, and returns. 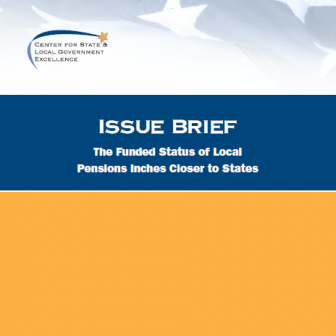 This brief examines the funded status of local government pension plans in comparison to state pension plans. 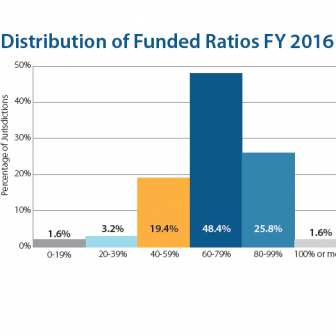 This infographic shows state and local pension distributions of funded ratios, required contributions paid, and assumptions for FY2016. 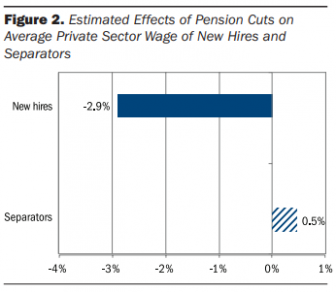 How Have Municipal Bond Markets Reacted to Pension Reform? 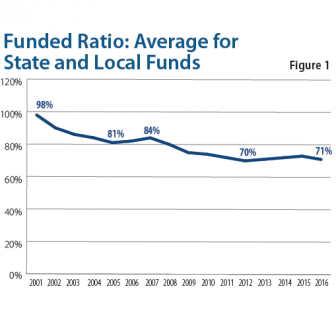 This brief examines the relationship between unfunded pension liabilities and municipal bond borrowing costs for state and local governments since the financial crisis.